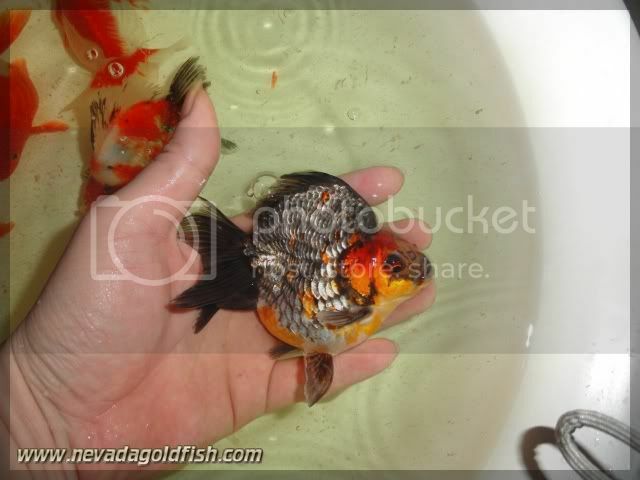 Another Tricolor Ryukin shorttail from Nevada Goldfish. This Ryukin is so strong and gentle. 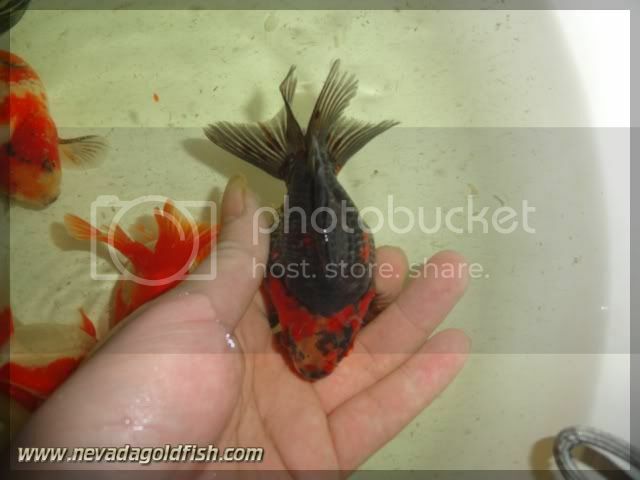 He has high and tight dorsal fin. He loves to eat. Adopter are welcome to adopt him.